Home Review Should you purchase iFlix or Netflix in Malaysia? 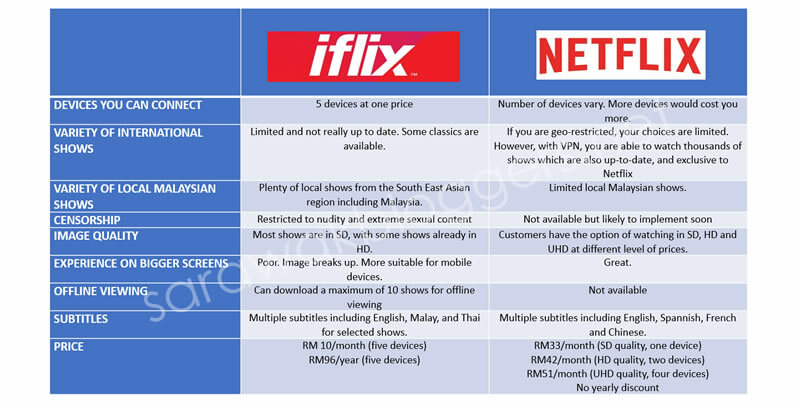 Should you purchase iFlix or Netflix in Malaysia? Well, here, I’d try to give you some insights on who’s the better one, but ultimately, it does go down to what do you want such as do you mind lower screen quality for lower price? 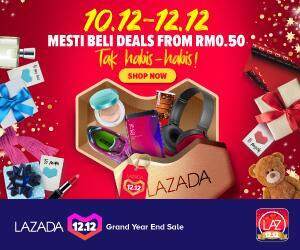 Do you prefer more local Malaysian content? Do you have constant high speed internet at your disposal?…and the list does go on. The table below is a brief comparison of what to expect from both services. 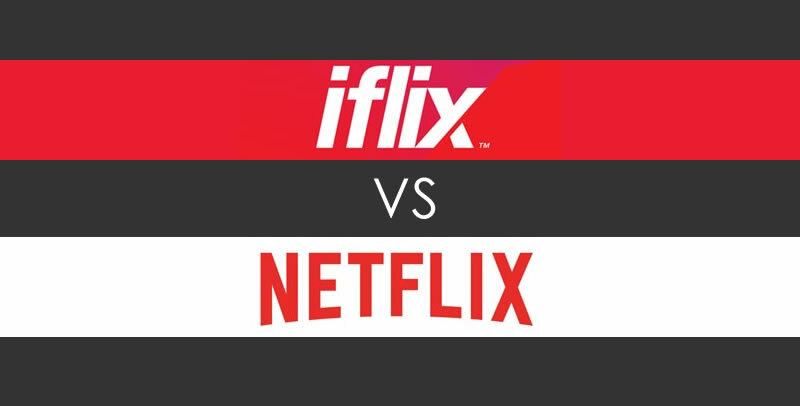 Generally, iFlix is much cheaper, but that also means you have to put up with less international titles, poorer image quality and more censorship if compared to Netflix. You will also be able to share your iFlix with several friends at one cost, making you the best buddy ever! On the other hand, Netflix, with the use of Virtual Private Networks (VPN) would gives you tonnes of international titles, good quality videos, and the full version of any show (no censorship). Nonetheless, you will have to pay more for your streams as you need to also subscribe to VPNs or geo-block unlocker, such as Unotelly. It would be nice to have both, but then again, if you opt for one, the choice is generally yours. So which is yours?